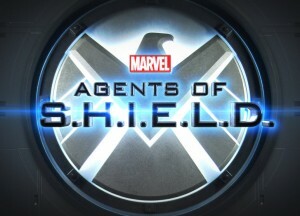 ABC’s new Agents of S.H.I.E.L.D. came out swinging Tuesday night, as the season’s most anticipated new series lived up to the hype with a well-done pilot and a huge debut. Agents debuted with a 4.7 adults 18-49 demo rating, the highest rated premiere for any drama in five years. However, the agents went up against some pretty tough competition from NCIS on CBS (20.02 million viewers, 3.6 adult demo rating), and The Voice on NBC (14.35 million, 4.7 rating, tying Agents for first.) In fact, Agents actually came in third in total viewers with 12.42 million. If Agents want to maintain and grow its audience, it needs to attract viewers outside of its core fanbase. Coming in fourth was Fox’s Dads, with a 1.5 rating, but Brooklyn Nine-Nine scored a 1.8, up from its Dads lead-in – a keeper in my book. In the second hour of prime, CBS finished second to The Voice with NCIS: Los Angeles with a 3.0 rating. ABC did score an upset with the premiere of The Goldbergs, which did a 3.1, easily beating Fox’s New Girl (2.1), while Trophy Wife (2.3) beat The Mindy Project (1.5). Concerning for both Goldbergs and Trophy Wife however, is the inability to hold their lead-in. The final hour of primetime saw Chicago Fire win the time period in adults 18-49 with a 2.7 rating, followed by Sons Of Anarchy on FX with a 2.4, CBS’ Persons Of Interest with a 2.3, and the premiere of ABC’s Lucky 7, which was unlucky with a 1.3, tying TBS’ Big Bang Theory rerun, and Comedy Central’s Tosh.0 right behind with a 1.2. Of note was Person Of Interest scored a time period win in total viewers with 12.44 million viewers.